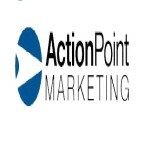 ActionPoint Marketing is a full-service agency with a special focus on digital and event marketing. We offer big-agency ideas and quality without the big-agency prices. Whether your goal is to engage new customers, capture qualified leads, sell... more of your products and services, or create brand awareness, we can help you develop and sharpen your message and take it directly to your prospects using the most effective channels.